This weeks round up has no specific theme. This week I have selected four very different recipes to feature as my favourites. As always there was a wide variety of recipes that were shared. That is why I love hosting CookBlogShare, there is no theme, anything foodie goes. This means each week we get to look at main meals, snacks, sweet treats, bakes and get to feel hungry as we read. For my round up for week 23 I have selected four very different recipes that can be served at various times of the day. We have one which would make a delicious brunch, one that would make a moreish snack, an irresistible drink and a low syn dessert! First up this week are these mouthwatering Free From Waffles from The Intolerant Gourmand. These waffles look like the perfect weekend brunch treat. They are both gluten and dairy free and such a versatile dish. You can top with your favourite fruit and enjoy! The next recipe is one that I knew I would feature as soon as I read it! This deliciously summery Elderflower Liqueur from Tales From The Kitchen Shed is a must try. Elderflower is one of my favourite flavours and this recipe combines it with vodka to create an irresistible liqueur which is perfect for summer! Last but not least are these almost guilt free Low Syn Chocolate Profiteroles from Basement Bakehouse. These are a must try for any slimmer. Each profiterole contains just 2.5 syns! What is there not to love? As always, thank you for joining in with CookBlogShare each week. 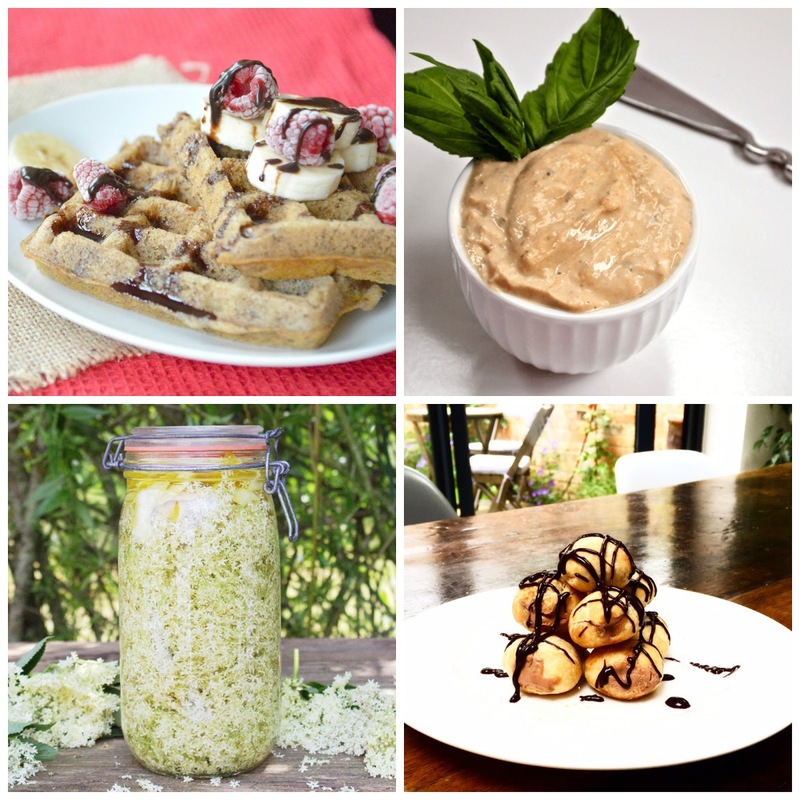 This week the linky is being hosted at Snap Happy Bakes. I hope you will join us again and I look forward to seeing what you have been cooking up!